Believe it or not, your work shoes don't have to look like they've been through a food processor. While beat up work footwear shows you work hard, it's time to clean up your act. You deserve professional-looking men's shoes that'll get you through your rough work d ... (see full details) (see specifications) #DRMR16800201. Believe it or not, your work shoes don't have to look like they've been through a food processor. While beat up work footwear shows you work hard, it's time to clean up your act. You deserve professional-looking men's shoes that'll get you through your rough work days, just like your old work boots. These Dr. Martens Men's R16800201 Brown Bolt 4 Eye Steel Toe EH Shoes are built tough and ready to take on whatever challenges are ahead. The full-grain leather uppers are slightly milled and snuffed, and they have a medium to heavy pull up and strong, oily surface for durability. Industrial strength cord laces on the Dr. Martens shoes allow you to adjust how tight you want them, and heavy duty metal logo eyelets add a touch of sophistication. Hard-wearing, air-cushioned PVC outsoles and contoured cushioned insoles add shock-absorption. You cross various terrains throughout the week, so you'll appreciate this support. The rugged soles of the men's shoes are slip-resistant as well, and they're compliant with a slip rating of ASTM F1677-1996 (Mark II Machine). The air-cushioned PVC soles also meet an electrical hazard rating to keep you safe around open circuits. The removable, contoured, and cushioned EVA comfort insoles, paired with a breathable mesh foam-backed lining, will provide your feet with necessary comfort and reinforcement. The padded collars also give you extra cushioning. Your toes need to stay guarded all day, and that's why these brown shoes feature safety toe caps to protect you. These meet the ASTM F2413-11 MI/75 C/75 EH standard for guarding your toes against impacts and compression at the workplace. Rolling and falling objects can literally crush your feet, so these steel toe shoes work hard to defend your toes. Since the steel toe caps conform to and exceed the ASTM standard, you can breathe easy knowing you have quality protection surrounding your feet. You'll also have protection from below, as these safety toe shoes have air-cushioned PVC outsoles. Absorbing shocks and keeping you on your feet, these rugged outsoles are designed to help you get through your work day. The Dr. Martens footwear is created using cement construction, so you can count on it for long-lasting support. You're allowed to have good-looking men's footwear while having a tough, dirty job. These Dr. Martens Men's R16800201 Brown Steel Toe 4 Eye Bolt EH Slip-Resistant Shoes will be a great fit for you...order yours from Working Person's Store today! I just purchased these shoes for my husband. He sells cars so he is on his feet all day. These shoes provide the comfort and durability he needs while looking very nice with slacks. He loves these shoes and says they are not too hot in the summer and the slip resistant works! My husband will not wear anything but Dr. Marten's! I will be buying another pair for sure! There's really not a break-in period for these; they're ready to go to work. They look good enough to pass as a casual shoe and, when patinaed, have a refined (yet macho) stance. Dr Martens shoes do well in the work environment. The soles hold up and generally, the failure will be the sole attaching to the upper. These are going to my next purchase and I can't wait. The steel toe oxford by Dr Marten are the best and have a classy look. I have the same style in black and have been very pleased with the quality, comfort and longevity of them. They are great alternative to steel toe boots without the bulky cumbersome boots. I was looking for a comfortable steel toe work boot, I usually purchase Red Wing Work Boots and have for many years. The price difference is what encouraged me to give the Dr. Martens a try, I am glad that I did. But, I am some what disappointed that the price was lowered from $90.00 to $70.00, if I would have known this I surely would have waited to order the boots. As a cost conscious businessman I am all about saving money when ever possible. 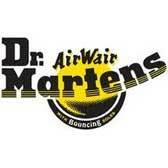 Dr. Martens Shoes: Men's R16800201 Brown Steel Toe Slip-Resistant Oxford Shoes is being added to your cart.